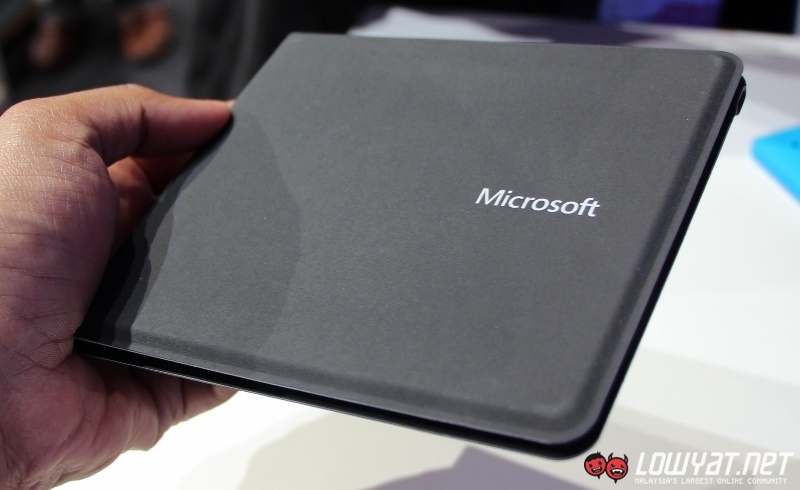 Apart from launching Lumia 640 and 640 XL, Microsoft seems to have surprised quite a number of pple in the crowd earlier today by also unveiling its brand new Universal Foldable Keyboard. 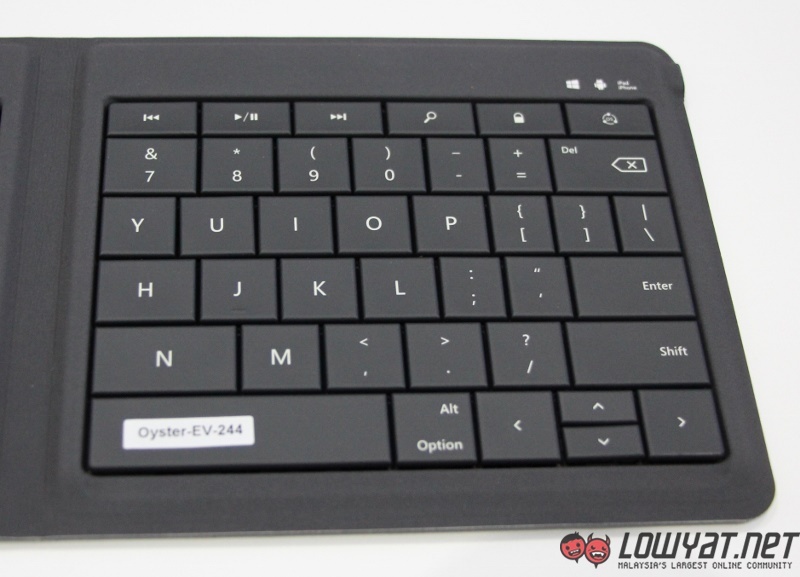 Just like the previously released Universal Mobile Keyboard, this new Bluetooth wireless keyboard supports Android, iOS and Windows devices. 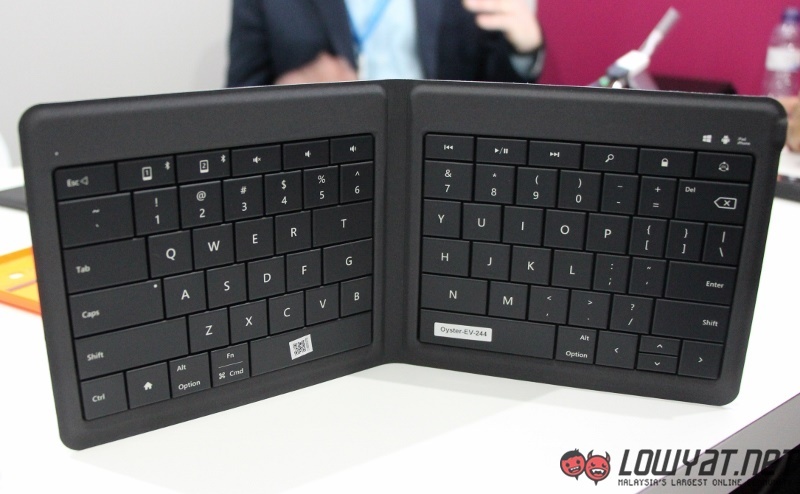 What made the new keyboard really unique apart from its support for multiple operating system is that it can be folded to make it easier to carry around. 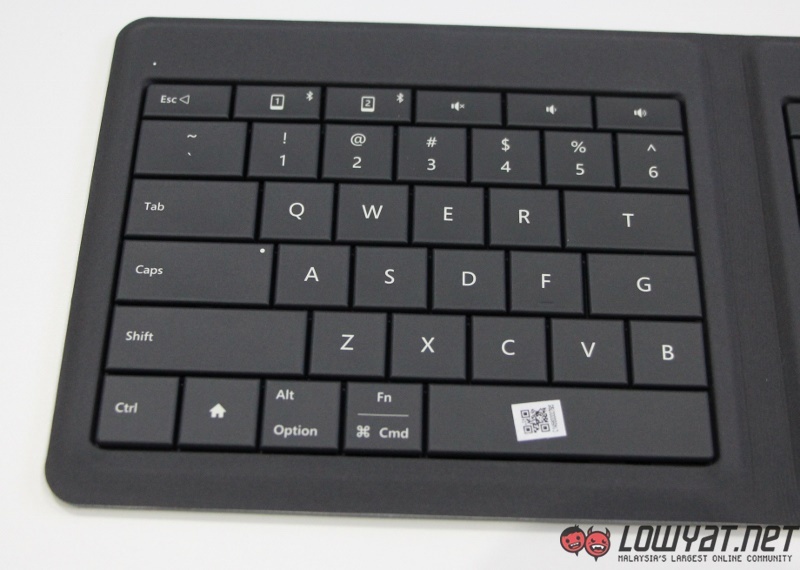 Since it is considerably thin and light, all these characteristics made it a highly mobile wireless keyboard. 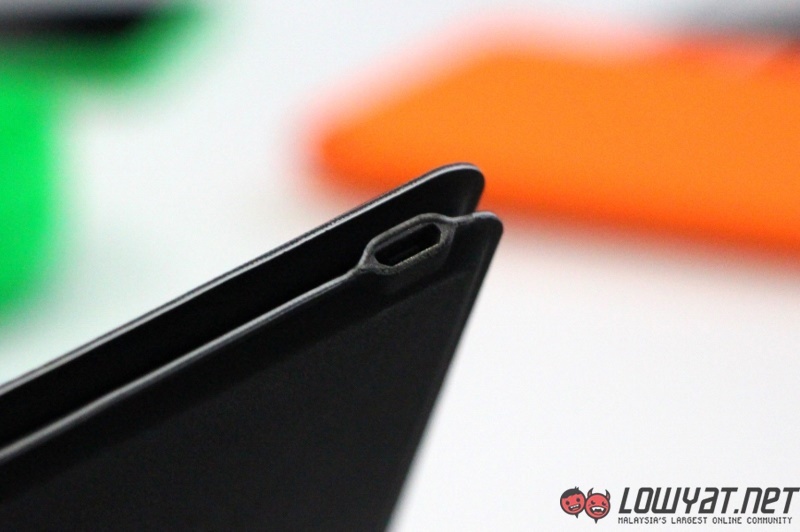 We don’t know if it is just coincidence or otherwise, the keys on Universal Foldable Keyboard looks almost identical to those on Surface’s Type Covers with the exception of them being just slightly smaller. In fact, the tactile feedback for both keyboard feels the same as well. Another interesting feature on the Universal Foldable Keyboard is that users are able to switch from one device to another using the two dedicated quick keys that are located next to the Escape key on the keyboard. 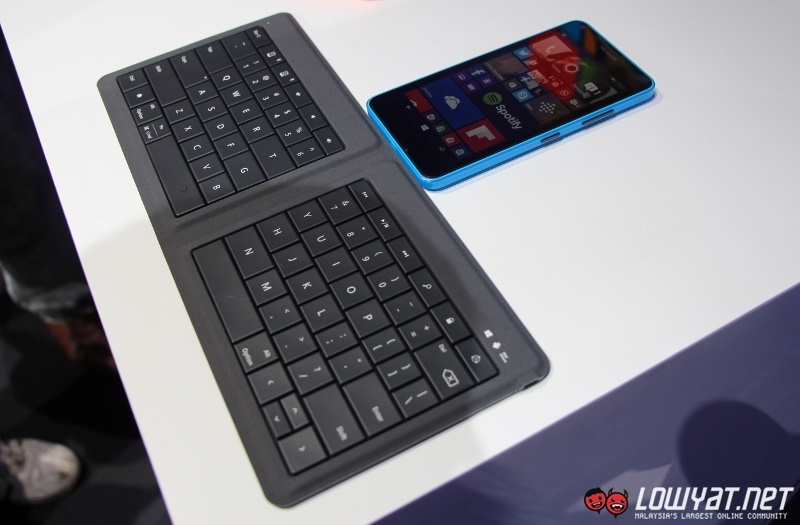 Of course, users need to pair the keyboard to both devices before they are able to utilize this particular feature. 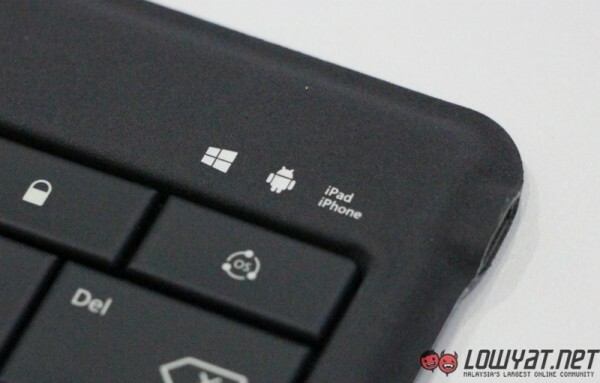 Additionally, the keyboard’s Bluetooth connection is deactivated once users fold it up. Once folded, magnets that are located on the upper left and right edges of the keyboard ensured that it is securely fastened. 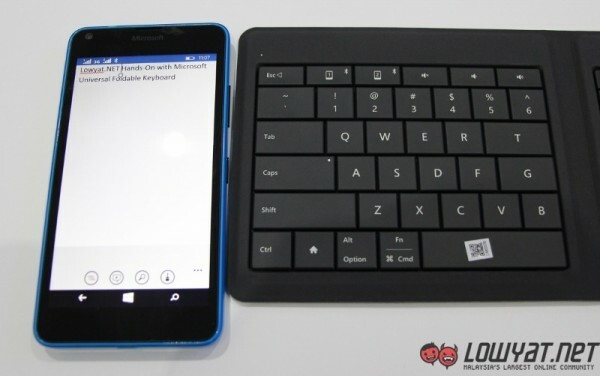 For those who wondering how the Lumia 640 shown below is able to support the new Universal Foldable Keyboard although Windows Phone doesn’t support external keyboard at the moment, it is because the unit is running on the upcoming Windows Phone 8.1 GDR2 update that will bring together the support for Human Interface Device Profile for the operating system which is needed to operate the keyboard. The same HID support will also be made available on Windows Phone 10 for Phones. 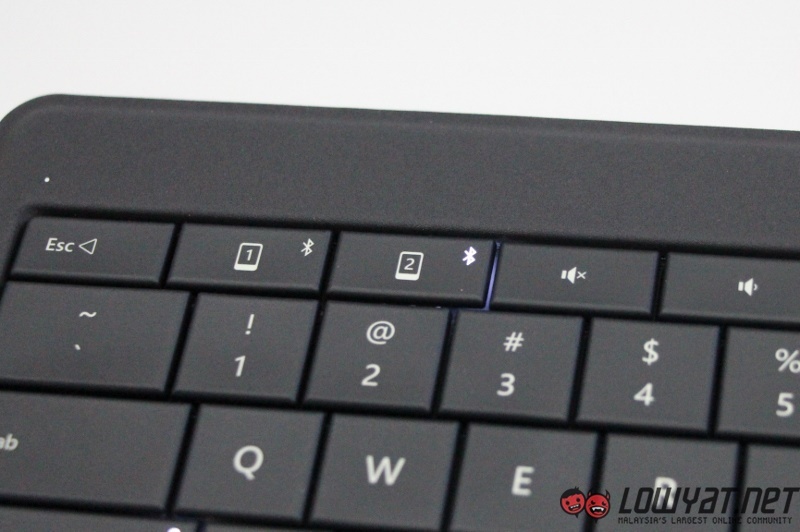 Last but not least, the keyboard apparently has a maximum battery life of 3 months and it can be charged using its micro-USB port. 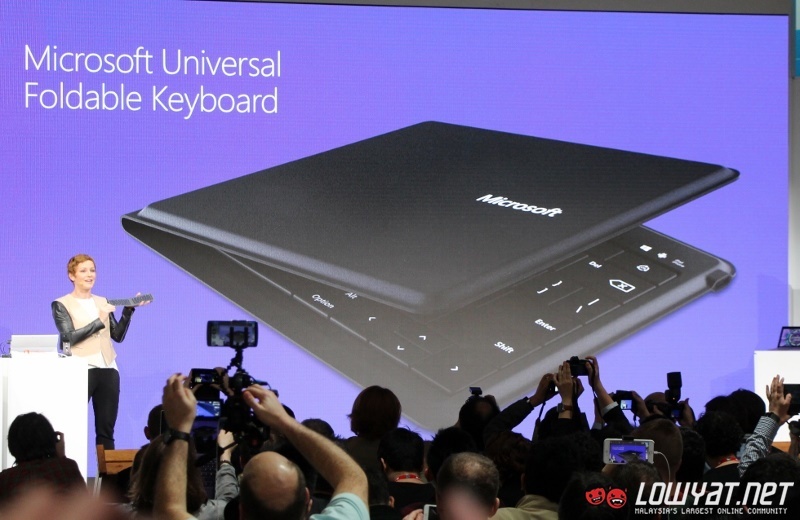 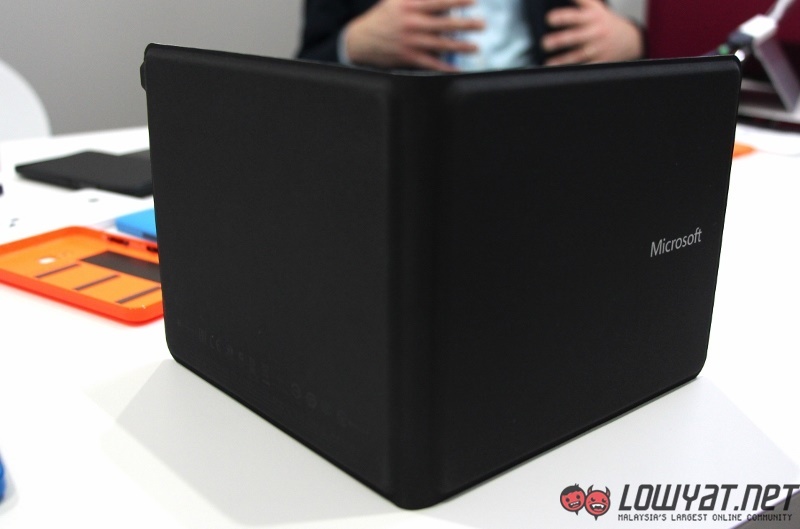 As interesting as the new Microsoft Universal Foldable Keyboard might be, it will only be released sometime in July at United States with an estimated price of under USD 100 (RM 363). 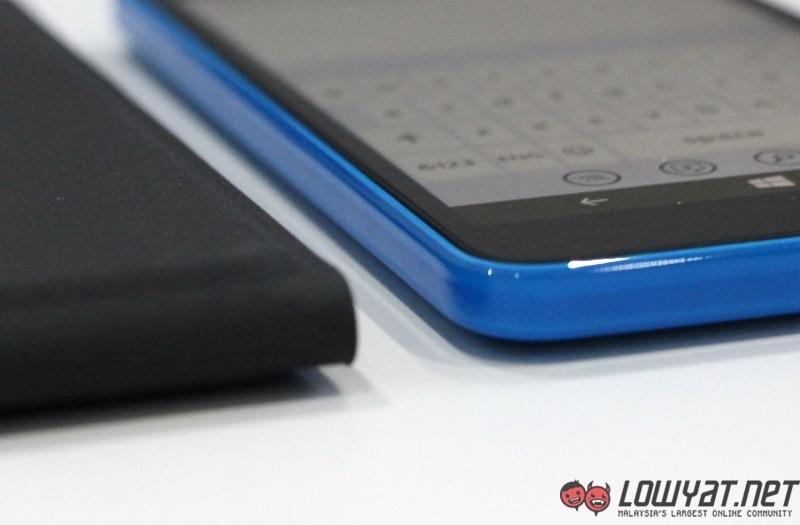 Well, looks like it is going to be a while before we can see it at stores then.